Do you know how many things you can make with peppermints? A lot. I remember once as a kid I made candy wreaths for Christmas gifts. I glued tons and tons of candy to Styrofoam rings and gave them as gifts to my aunts and uncles. I also remember how long it took me. Long. I was just a kid. 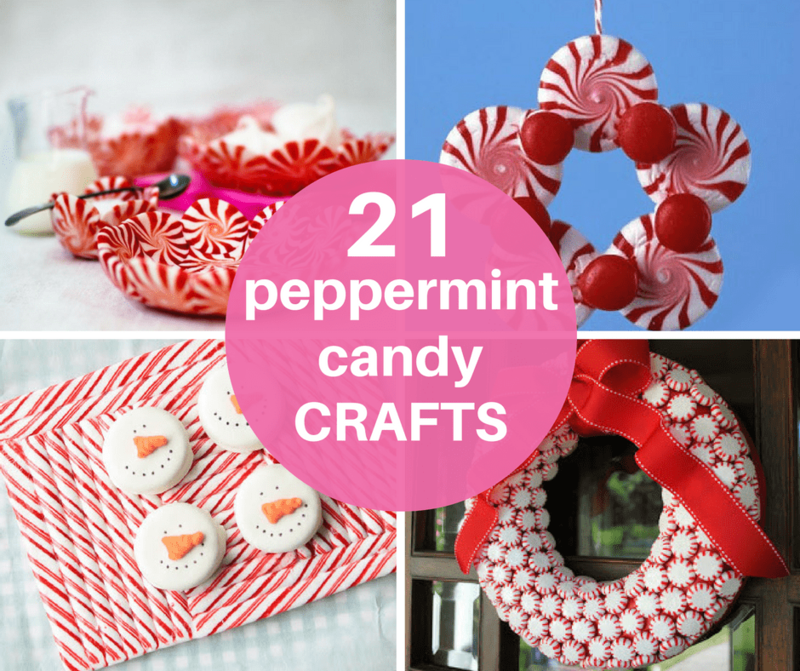 If you’re a go-getter like the kid me (less so the adult me), here are 21 peppermint candy crafts to make this holiday season. Try these melting snowman painted rocks. For a Christmas centerpiece, make felt trees. If you need alternatives to traditional Christmas trees, check out this roundup. 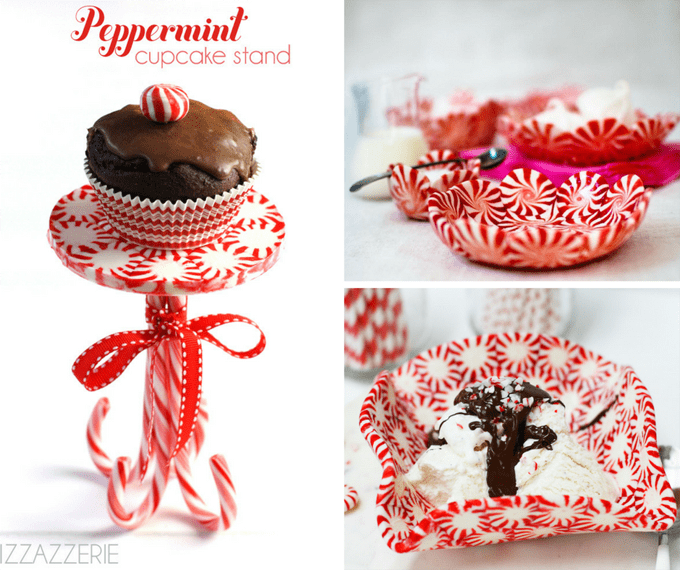 I’m in love with this peppermint cupcake stand at Pizzazzerie. Make peppermint bowls at Design Sponge. Or make these square peppermint bowls at Lilyshop. Please make peppermint shot glasses this year. By The Watering Mouth. Make a peppermint tray at Munchkin Munchies. Or these peppermint plates at Lilyshop. 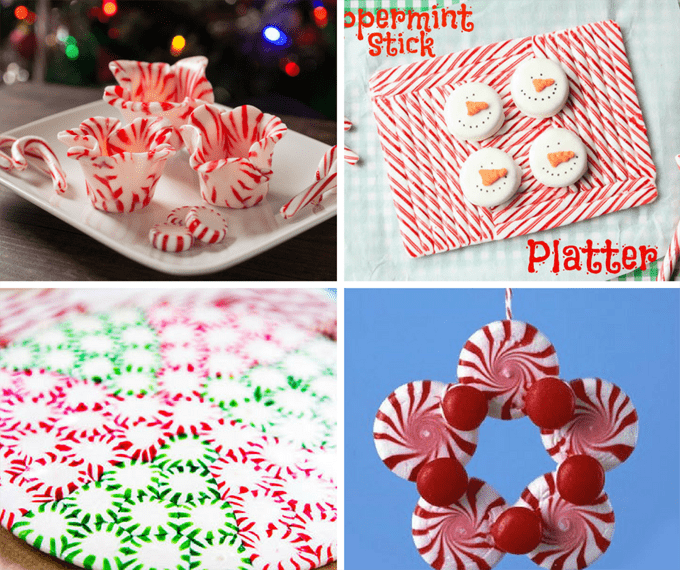 Make peppermint ornaments at Martha Stewart. 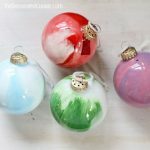 Or these peppermint ornaments at Better Homes and Gardens. 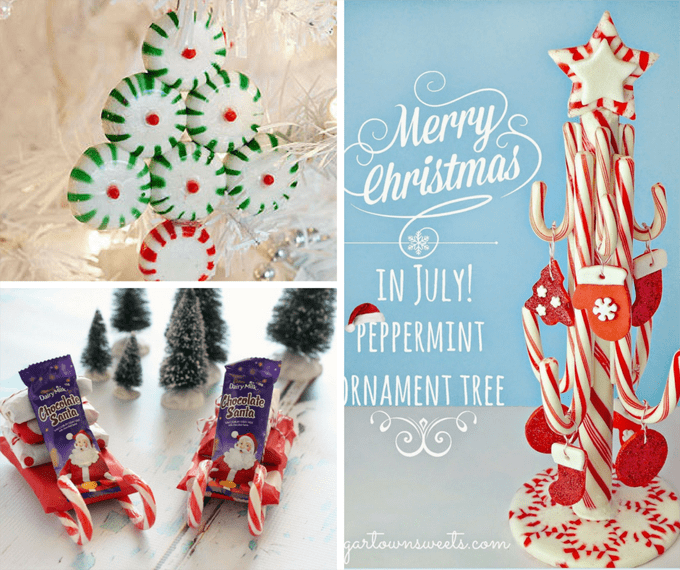 Make a peppermint tree with little ornaments at Sugartown Sweets. Make candy cane placeholders at Industrious Justice. 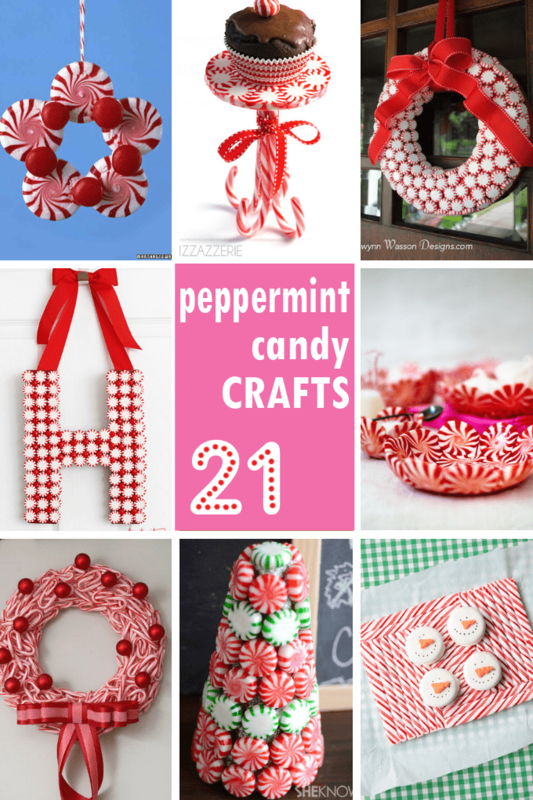 Make peppermint letters at Centsational Girl. 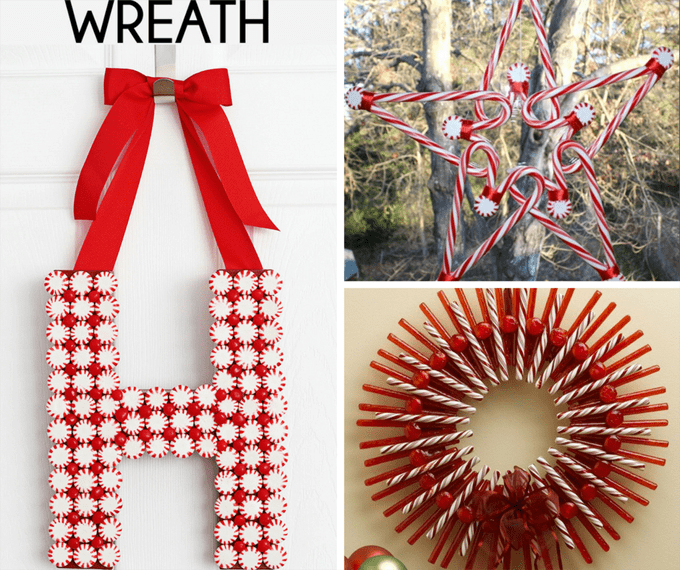 Make a candy cane wreath at Better Homes and Gardens. Or this classic peppermint wreath at Gwynn Wasson Designs. I love the pattern of this peppermint monogram wreath at Two Twenty One. Or make this awesome peppermint star wreath at Virginia Sweet Pea. Make a peppermint stick wreath at Crafts N’ Coffee. 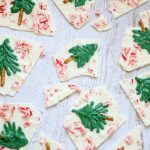 Make peppermint cone trees at She Knows. Make peppermint candles at Stonewall Kitchen. 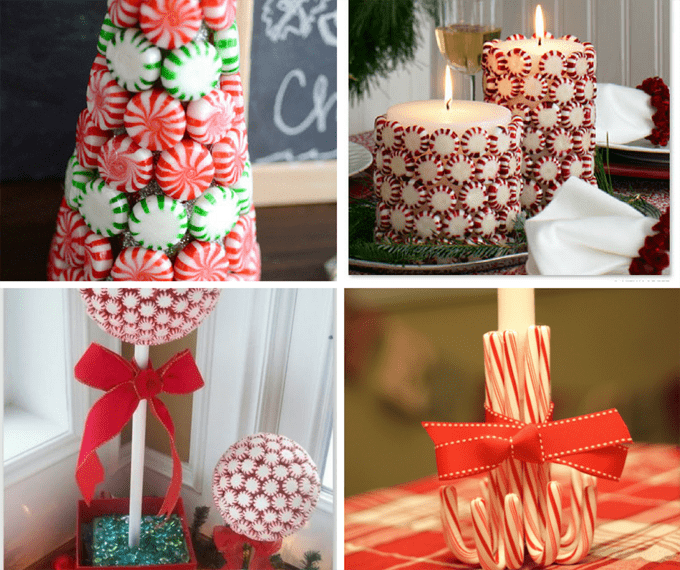 Or a candy cane candlestick at Be What We Love. Make peppermint topiaries at By Stephanie Lynn. 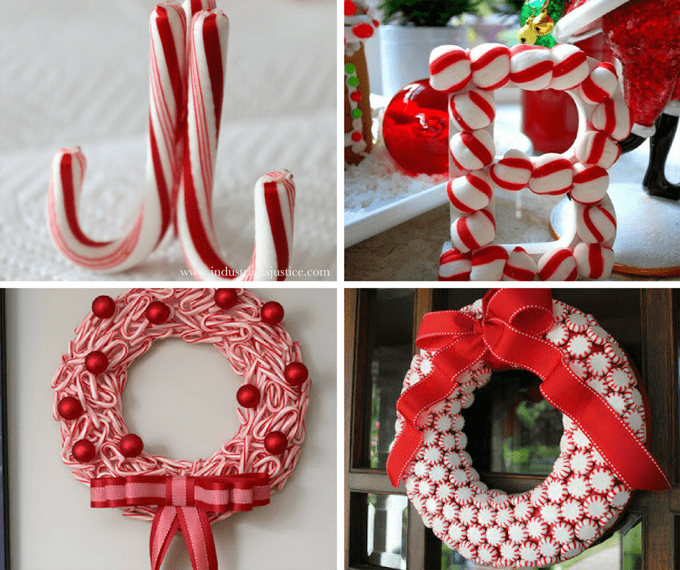 I love red & white at Christmas, and if it involves candy, all the better! Thank you for including CraftsnCoffee.com in this sweet round up! I am looking for the templet for making Better Homes and Gardens Peppermint candy Sleigh if anyone can help? Hi Debbie, If you click the links to go to the original sources, you may be able to ask the blogger who made the bowls! Thanks!